Orbital’s Taurus launch vehicle finally lifted off with NASA’a Glory spacecraft – at 10:09am GMT Friday morning – after being rescheduled due to a scrub during its original February launch attempt. However, the vehicle’s aim to deploy the Glory environmental satellite for NASA, plus three university CubeSats, via a launch from Launch Complex 576E at the Vandenberg Air Force Base in California, failed when the fairing surrounding the payload failed to separate. The Glory spacecraft was rescheduled after technical issues with ground support equipment for the Taurus XL launch vehicle led to the scrub of the original Feb. 23 launch attempt. Those issues have been resolved ahead of the next attempt from the Vandenberg Air Force Base – which was carried out without a problem during the countdown. During ascent, all milestones were being reached, with NASA public affairs’ George Diller calling out the fast-paced events, including the pre-emption of payload fairing sep, at the same time as Taurus Vehicle Engineer Richard Haenke – providing ascent milestones – was only heard saying “copy” – in response to an internal loop. It was soon apparent there was a problem, when the officer noted an “underspeed, caused by the lack of fairing separation” – prior to the loop requesting controllers they were in a contingency and were not to speculate as to the cause of the failure to anyone outside of the room. With the vehicle still flying, in vain, a full contingency was called, with more details on the failure noted at the post-failure presser. Click here for transcribed notes. Although it is too early to know, at this stage it appears to be a near-mirror to the failure of the OCO launch, almost exactly two years ago. 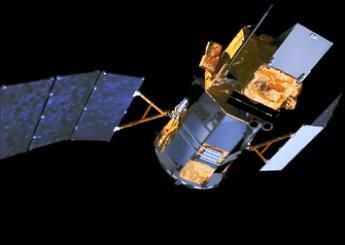 Glory was a NASA satellite which was intended to study the climate and atmosphere of the Earth. It was a 538 kilogram spacecraft which was manufactured by Orbital Sciences Corporation and based upon the LEOStar bus. It was designed to operate in a Sun-synchronous low Earth orbit at an altitude of 705 kilometres. Glory was equipped with two solar arrays and a third solar panel mounted directly on the satellite, which were to generate a total of 766 watts of power. It was to be propelled by four 4 newton monopropellant thrusters, with 45 kilograms of propellant onboard. Its attitude control system is designed for three-axis stabilisation to provide the spacecraft with the correct orientation to complete its mission. Glory was to be expected to operate for at least three years, and scientists were hopeful that it would have been e able to last for more than five. Two instruments were being flown aboard Glory. The Aerosol Polarimetry Sensor, or APS, was intended to study aerosols in the Earth’s atmosphere. It was to have studied the light that aerosol compounds reflect, and use this to determine their properties and distribution within the atmosphere, looking for trends and investigating the effects of different circumstances and events upon the aerosols. The second instrument on Glory was the Total Irradiance Monitor (TIM). TIM was to be used to study solar radiation, and to monitor the amount absorbed by the Earth’s atmosphere. 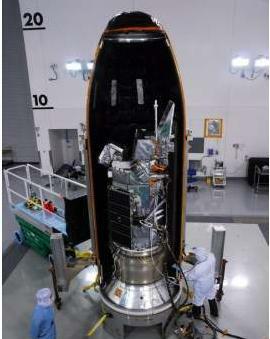 An identical instrument was launched aboard the SORCE satellite in 2003. Glory was to become part of the A-train constellation. The A-train is a formation of Earth science spacecraft, currently consisting of the Aqua, CloudSat, Calipso and Aura spacecraft. The French Parasol satellite was also part of the A-train until December 2009, when it was repositioned for independent observations. The OCO satellite would have become part of the A-train if it had not failed to achieve orbit. The satellites orbit in the same order, with Aqua leading, followed by CloudSat, then Calipso, with Aura last. Glory was to have been positioned between Calipso and Aura. One more launch of an A-train satellite is currently scheduled, that of OCO-2 in 2013. A replacement for the failed OCO satellite, it will orbit ahead of Aqua. In addition to Glory, the Taurus was to deploy three CubeSats. KySat-1 was produced by Kentucky Space, and was intended for use as part of an outreach programme towards schoolchildren, who were to have been e allowed to upload and download files to and from the spacecraft, and to operate its camera. It was a single-unit CubeSat; measuring ten centimetres by ten centimetres by ten centimetres, and is expected to operate for between 18 and 24 months. 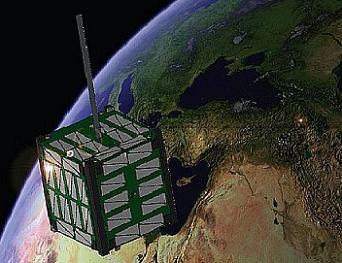 Hermes was also a single-unit CubeSat. Funded by the Colorado Space Grant Consortium and operated by the University of Colorado at Boulder, it was designed to demonstrate systems to allow CubeSats to transmit data to Earth at higher rates. It was also be used to conduct research for future CubeSat missions, and to study the environment in which was to operate in. It carried instruments to monitor its temperature, and the magnetic field to which it was to be exposed. Explorer-1 [Prime] was essentially a reflight of the Explorer 1 satellite’s radiation experiment using modern technology. The original Explorer 1, the first American satellite, was launched in 1958. Its radiation payload was instrumental in the discovery of the Van Allen belts. Explorer-1 [Prime] was based on the Electra CubeSat bus, developed by Montana State University at Bozeman, and was to be a replacement for the MEROPE satellite which was lost in the July 2006 Dnepr-1 launch failure. Explorer-1 [Prime] was originally built as BarnacleSat, which was to have been used to demonstrate the deployment of a tether in space, and test the “RocketPod” deployment mechanism which was under development. BarnacleSat was intended to have been launched as a secondary payload on a Delta II, and would have deployed a tether, monitored its performance, and investigated whether it could be used to deorbit the rocket’s upper stage. The BarnacleSat mission was cancelled after the spacecraft could not be completed in time for launch. Dr James Van Allen referred to the MEROPE satellite as Explorer-1 [Prime], so the replacement satellite was given this name in his honour. The reflight was originally intended to commemorate the fiftieth anniversary of the launch of Explorer 1; however its launch has been delayed by several years. Like the others, it is was single unit CubeSat. It was funded by the Montana Space Grant Consortium, and will be operated by the University of Montana. The Taurus-XL rocket which will be launched has been named Hong after the wife of the NASA Mission Integration Manager. Hong will fly in the 3110 configuration, featuring a Castor 120 first stage, a small payload fairing, an Orion-38 fourth stage, and no fifth stage. This configuration has only flown once before; it was used for the failed OCO launch in 2009. The Taurus is a four stage all-solid expendable launch system which is operated by Orbital Sciences Corporation. It was developed in the early 1990s as a ground-launched version of the Pegasus rocket, and first flew in March 1994. Despite having been in service for almost seventeen years, this is only the ninth Taurus to be launched, and the third Taurus-XL. The Taurus-XL differs from the original Taurus in that it has upgraded second and third stages. It is denoted by the first digit of the vehicle’s configuration being a three. Of the eight Taurus launches conducted to date, six have been successful; however two of the last three launches have failed. The last Taurus launch was conducted on 24 February 2009, and was intended to have placed NASA’s Orbiting Carbon Observatory (OCO) satellite into low Earth orbit. The payload fairing, which protects the satellite during its ascent through the atmosphere, failed to separate from the rocket, leaving it too heavy to achieve orbit. It reentered over the Antarctic Ocean. Wednesday’s launch will begin with the ignition of the solid-fuelled Castor 120 first stage at T-0, at which time Hong will begin to climb towards orbit. Eighty five seconds later, the first stage will separate, and the second stage, an Orion-50SXLG, will ignite. The second stage, a modified version of the Orion 50S used on the Pegasus rocket, will also burn for eighty five seconds, before separating. The third stage, an Orion-50XL, will ignite two seconds later for a seventy nine second burn. One hundred and seventy eight seconds into the flight, the payload fairing will separate. The Taurus can fly with one of two payload fairings depending on the requirements of the spacecraft it is to launch. The small fairing, which will be used for this mission, has a diameter of 1.60 metres. 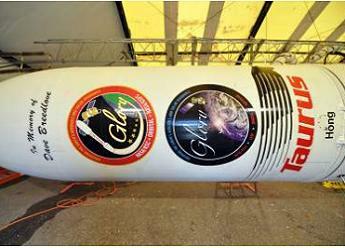 A larger fairing, with a diameter of 2.34 metres, is also available. The payload fairing separation system has been redesigned since the failure of the OCO launch. Following the end of the third stage burn, the rocket will begin a short coast phase, lasting five minutes and forty seven seconds. The third stage will separate during this coast phase, around sixty four seconds after burnout. At the end of the coast phase, the fourth stage will ignite and burn for seventy two seconds, placing Glory into orbit. Once the fourth stage burns out, powered flight will be complete. Glory will separate from the Taurus thirteen minutes and five seconds after launch, followed ten seconds later by the CubeSats. Hong will launch from Launch Complex 576E (LC-576E) at the Vandenberg Air Force Base in California. The complex was originally built in the early 1960s as a launch site for operational Atlas missiles. It was first used for an Atlas test launch in August 1962. Four Atlas-F launches were made from the pad, the last being in 1964. Unlike other pads in Complex 576, pad E was not reused for orbital launches or sub-orbital reentry experiments, and did not see any more launches until it was converted for use by Taurus rockets in the 1990s. All eight Taurus launches to date have been made from LC-576E, and in addition the Orbital Boost Vehicle has also launched from the pad. This is the second launch to be conducted by Orbital Sciences this month, following the launch of the USA-225 satellite on 6 February using a Minotaur I rocket. The next orbital launch scheduled to be conducted by Orbital Sciences is planned for May, when a Minotaur I will launch the ORS-1 satellite. The next Taurus launch is not expected until 2013, when a Taurus-XL will be used to launch a replacement for the OCO satellite.